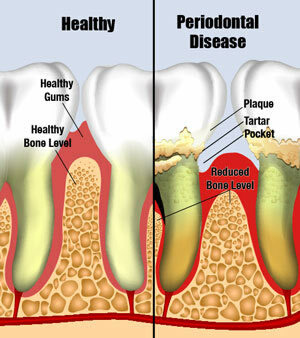 Periodontal Disease Gum is a kind of disease that enters the mouth. Periodontitis is the result of a bacterial infection, the gums, bone and connective tissue that supports the teeth and holds them in place destroyed. During the later stages of Periodontal Disease Gum, you are swollen (chronic halitosis) usually experience sores in the mouth, loose teeth, bad breath, sore gums, painful gums, and spaces that occur between the teeth. If you experience these symptoms, it can lead to gum disease has become a more serious phase. About 85 percent of the people who live in the U.S. suffer from some form of gum disease ranges from mild to severe.